Bertmond Black/Silver Home Office Desk Series by Ashley. 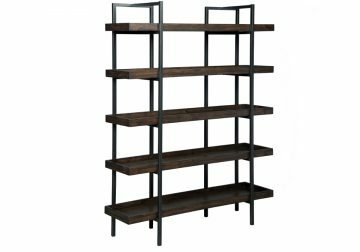 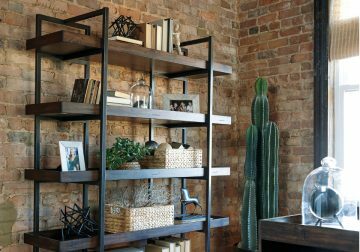 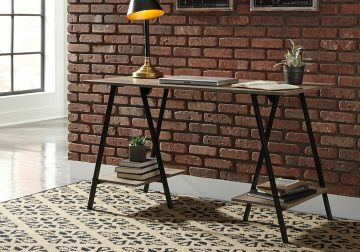 H300-010 is made with welded metal frame in a silver tone finish and black work and storage surfaces. 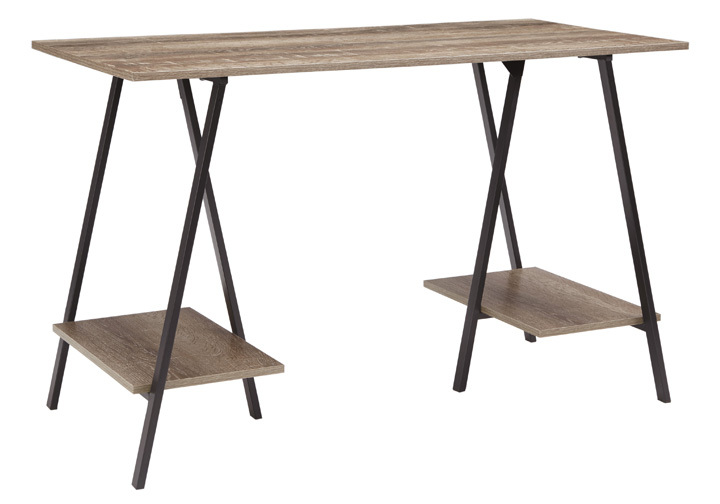 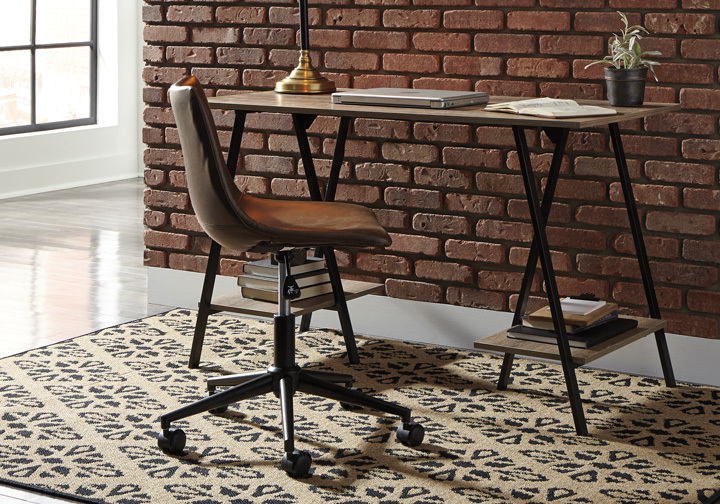 H300-310 is made with solid metal hairpin style legs and natural light brown print desk top.